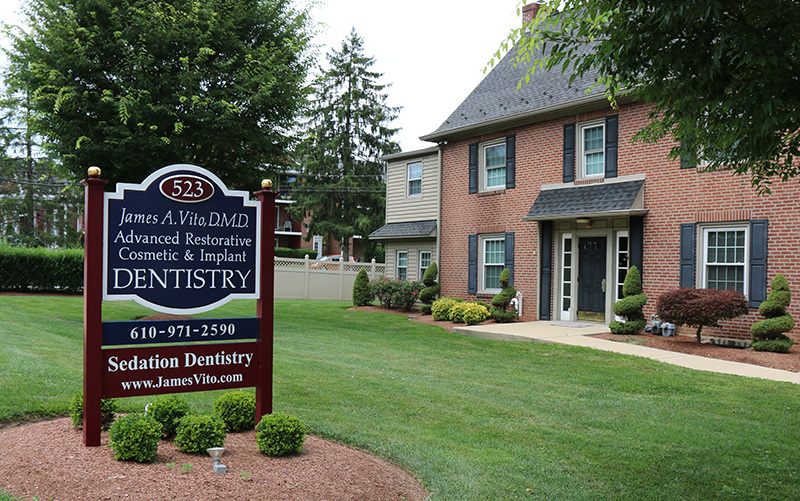 Dr. James Vito and his staff welcome new patients to his Wayne Dental Practice for General Dentistry, Cosmetic Dentistry and Advanced Restorative Dentistry. Surgical and Non Surgical Periodontal Services, Prosthodontic and Full Mouth Rehabilitation Dentistry as well as Dental Implant Surgery, Bone grafting and Dental Implant Restorative Services. During your first visit, Dr. Vito and his staff will establish a vital foundation for their relationship with you. During your first visit, we make sure to obtain important background information, like your medical and dental history, as well as the main reason for your visit to our office. During this interview it gives you time to get to know Dr. James Vito and his staff. It is important to be honest and accurate in terms of your medical and dental history, any substance abuse problems, as well as a list of your current medications. This is for your safety while in our care. Below are directions and a map to our office. Other information as to hours of operations, payment and financing policies are in “Our Office” section of this site. There’s also background information about our committed staff and our first visit procedures. Connect with us on Facebook. Get dental tips and more info. Your first appointment will take about an hour and will be comprised of a thorough dental evaluation as well as a understanding of your specific concerns. We will also take the necessary dental X-rays to evaluate the teeth and the supporting bone and jaw structures. Dr. Vito will perform a Oral Cancer Screening exam, Head and Neck exam as well as a TMJ Screening exam. A periodontal and restorative exam will then be performed to evaluate the health status of each tooth and the surrounding gum tissue. Being well-prepared for your appointment by providing Dr. Vito and his staff with accurate and honest information, will ensure that Dr. Vito and his staff can provide the best possible care for you and your family. It also will help relieve any unnecessary anxiety you may be feeling. Educate yourself on your symptoms by reviewing the content on this Web site. Also, take some time to review our staff page and familiarize yourself with the doctors. We look forward to your first visit!